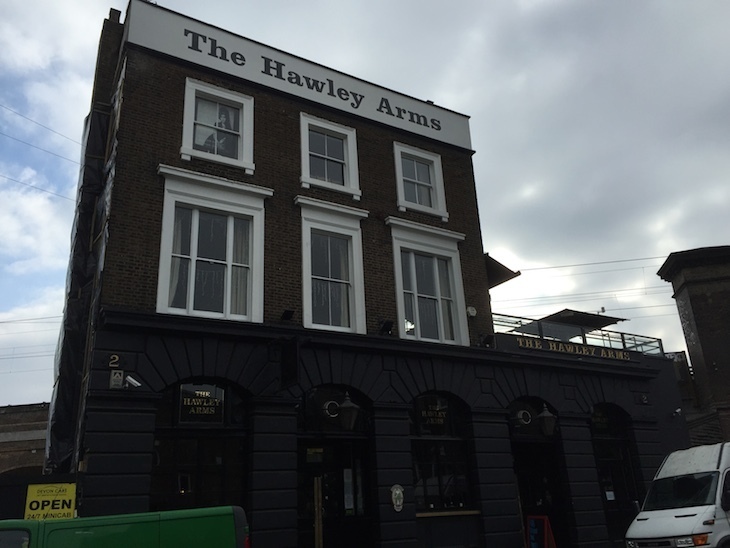 This famous old music pub beside the market is well known for its gigs, especially the patronage of a certain Ms Winehouse. 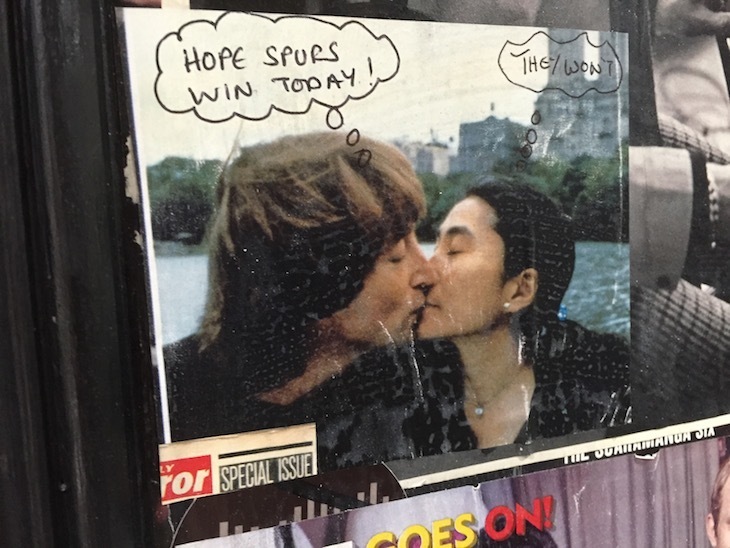 The main bar is decorated with rock n roll memorabilia, though never in an in-your-face way. In fact, it can be a lazy, relaxing sort of place when visited off-peak, with big comfortable sofas and a winter fire. 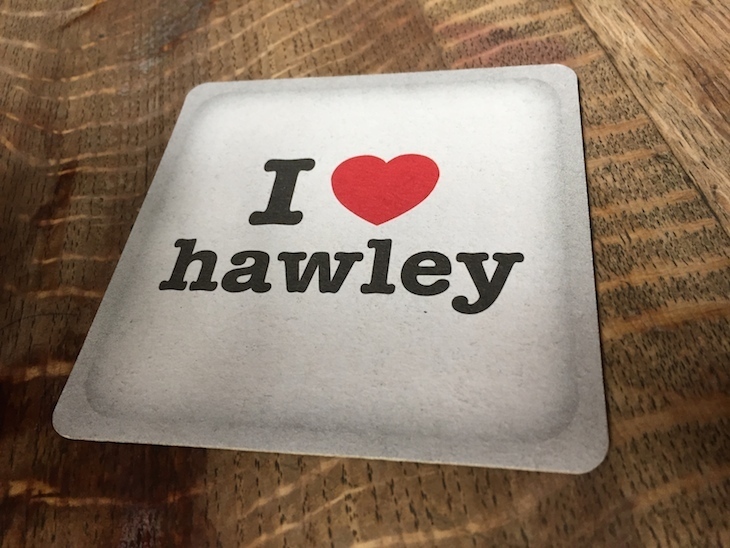 Speaking of fire, the Hawley almost burnt down during the disastrous market blaze of 2008 — a conflagration we were unlucky enough to witness first hand. 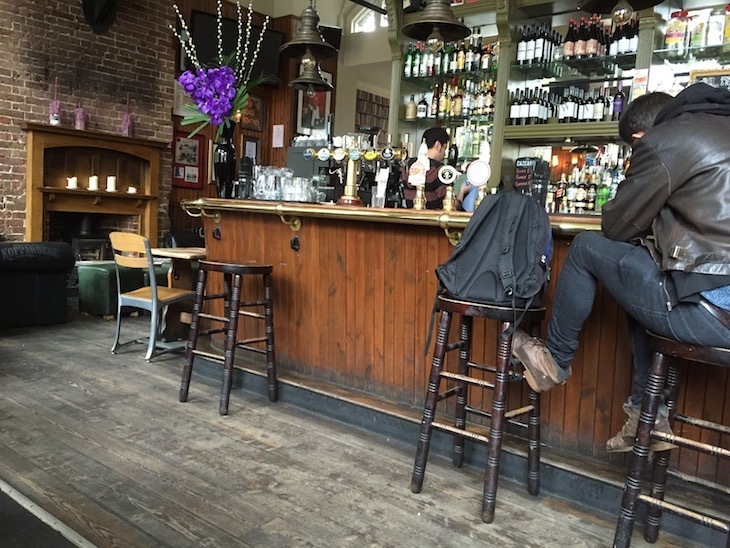 It recovered quickly, and today offers a decent mix of fine food, three cask ales and the usual mix of lagers. The pub's website is a bit useless, so keep an eye on its social media for upcoming gigs and stuff. 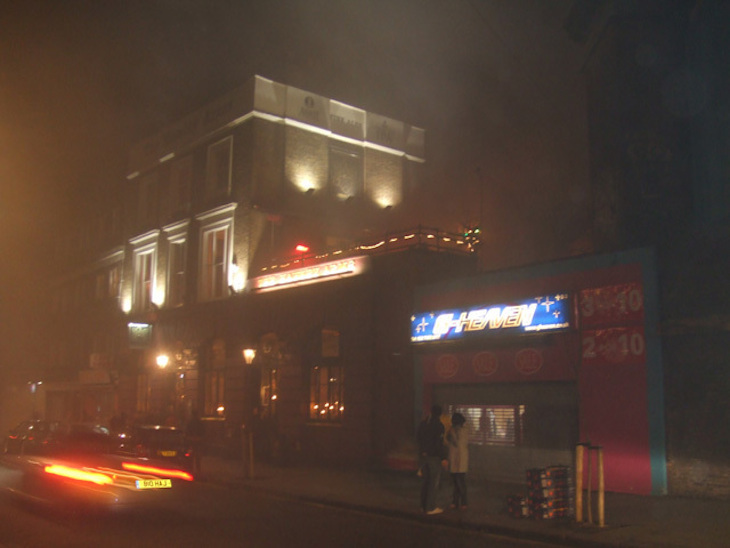 The Hawley in 2008, seconds before fire evacuation. 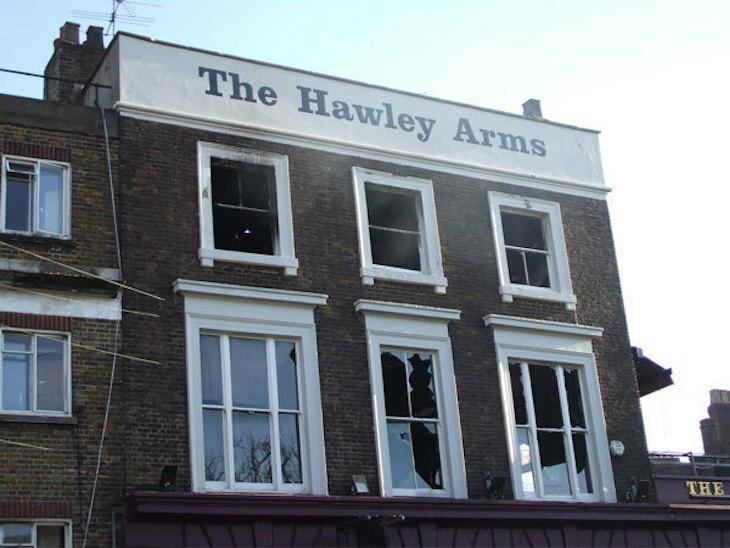 The burnt-out Hawley Arms, the morning after the 2008 fire.